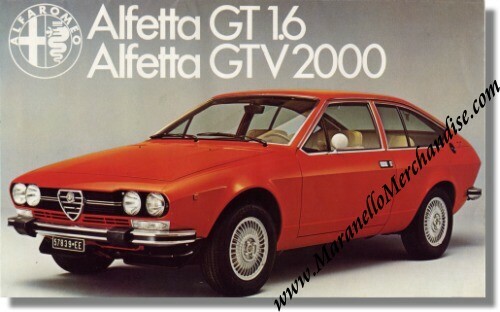 1978 Alfa Romeo Alfetta Gt 1.6 / GTV 2000 Brochure - ENGLISH !. Vintage 1978 sales brochure for the Alfetta GTV 2000 & GT 1.6. This is a fold-out sales brochure that measures some 7.5 x 6 inches (or 24 x 15 cm) and folds open to some 15 x 12 inches or 48 x 30 cm. Print reference: 782 573, printed by Alfieri & Lacroux, Settimo Milanese, Italy.